All of the encoding work is done inside the StreamEez-Pro device. To manage your video stream, the StreamEez-Pro application is included and runs on Windows 7 or 8. 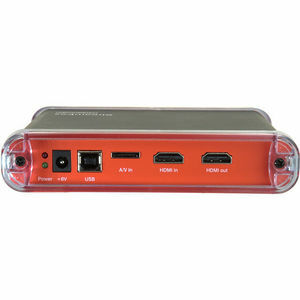 To install, plug the StreamEez-Pro device into a USB 2.0 or 3.0 port on your Windows PC, and install the StreamEez-Pro application. The StreamEez-Pro application will manage your connection to the Internet streaming service you will use. StreamEez-Pro also supports 'Works with Wowza' for one click setup of your Wowza stream.